GLENDALE, ARIZONA – Arizona Coyotes General Manager Don Maloney announced today that the Coyotes have signed forward Matthias Plachta to a one-year entry-level contract. As per club policy, terms of the contract were not disclosed. The 24-year-old Plachta registered 14-21-35 and 73 penalty minutes (PIM) in 47 games with Adler Mannheim (Deutsche Eishockey Liga) in 2014-15. The 6-foot-2, 220-pound native of Freiburg, Germany also recorded 5-4-9 and six PIM in 15 postseason games. 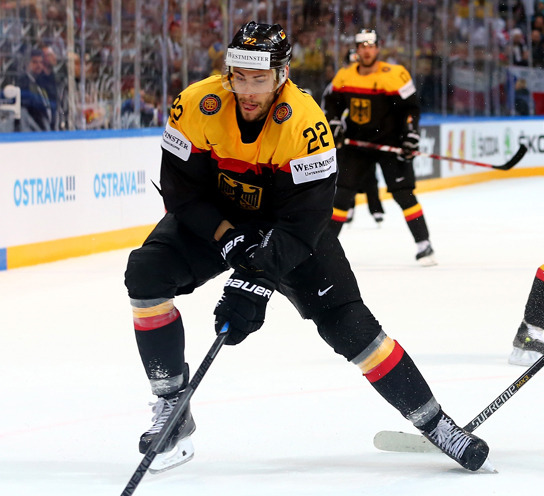 Plachta totaled 2-0-2 in seven games with Germany at the 2015 IIHF World Championship in Prague and Ostrava, Czech Republic.